Veteran actor Saif Ali Khan’s daughter Sara Ali Khan has grown up in to a beautiful lady and is all set to take her first step in Bollywood. For quite some time, there was a constant buzz saying that filmmaker Karan Johar would launch the star kid in his upcoming movie and that father Saif wasn’t so happy with the news. 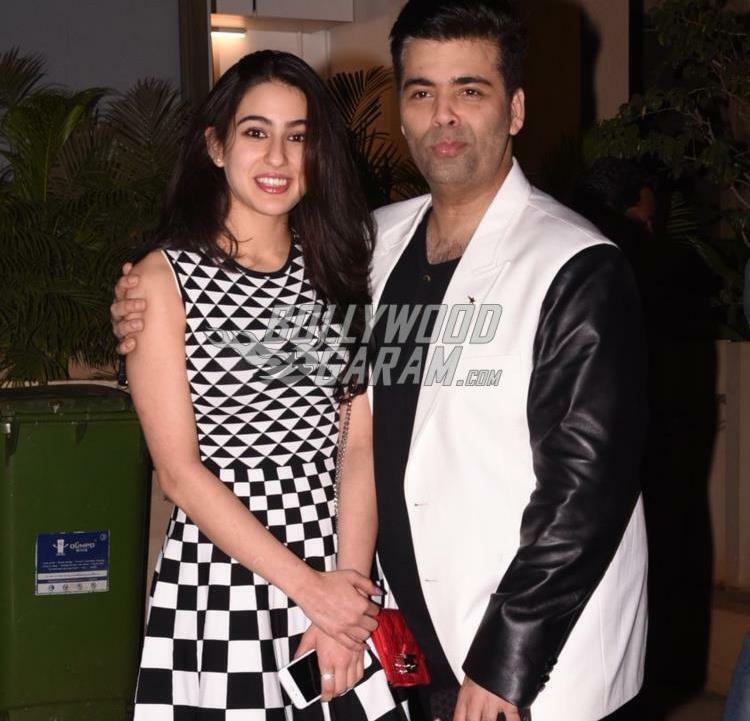 The news was official when Sara was clicked with Karan Johar at Shahid Kapoor’s birthday bash. The two were seen posing for the shutterbugs. Sara looked pretty in a black and white outfit. Sara Ali Khan is the eldest child of Saif. He had her with ex-wife, actress Amrita Singh. They also had another child, a son, during their marriage. However, the two soon divorced, and their mother was sure to keep them away from the limelight. However, with the Pataudi family in films, including grandmother Sharmila Tagore and aunt, Soha Ali Khan, it wouldn’t be long for Sara to step in her father’s shoes. Saif recently had a child, a son called Taimur Ali Khan with second wife, actress Kareena Kapoor Khan. Shahid celebrated his birthday in advance as he will then be busy with the promotions of his movie ‘Rangoon’ which is all set to hit the theatres on February 24, 2017.